AIP Online Surveys is another legit survey panel to make money online with Paid surveys by simply sharing your thoughts. Here I’m writing an unbiased review of AIP Online Surveys with payment proof. Let’s check the AIP Online Surveys review. What is AIP Online Surveys?? AIP Online Surveys was founded in 1997 by AIP (AIP Corporation) based in Tokyo. Membership is always free and can be done by simply filling out the registration form. The form is usually in few steps where the questions may ask for personal, contact and household information. So that relevant surveys can be sent to members. Participants will receive a confirmation email after submitting the registration form. Once membership is confirmed, members can be able to access their personal page and complete profile surveys. Members can start earning immediately just by completing online surveys. How to Make Money Online with Paid Surveys? Are you looking for an easy way to earn extra income on the internet during your leisure time but have no idea on how to start?? This post helps you to learn about how to make money online with paid surveys. Paid surveys are one of the best and easiest ways to make money online. 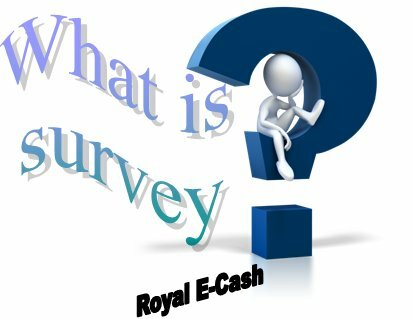 You can earn money by simply answering few questions and sharing your thoughts on surveys. It takes around 15 to 20 minutes to complete a survey and earn money. Paid surveys are risk-free ways to earn money online. Legit paid survey sites are never requested to make any kind of investment. They are always free to join and not require any amount to redeem your points or earnings. [Read more…] about How to Make Money Online with Paid Surveys?